Video time! It's been a while, right? But today I have a fun layout and a video for you. 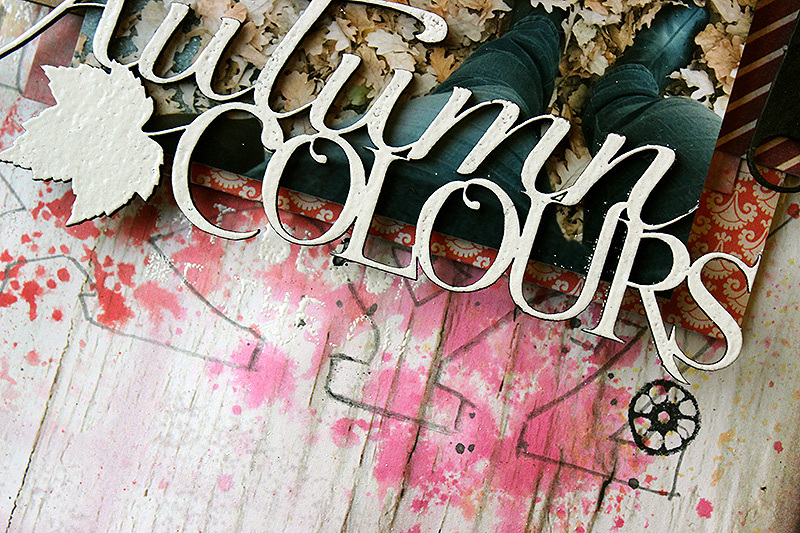 It's the darkest time of the year here in the north so splashes of color are desperately needed! 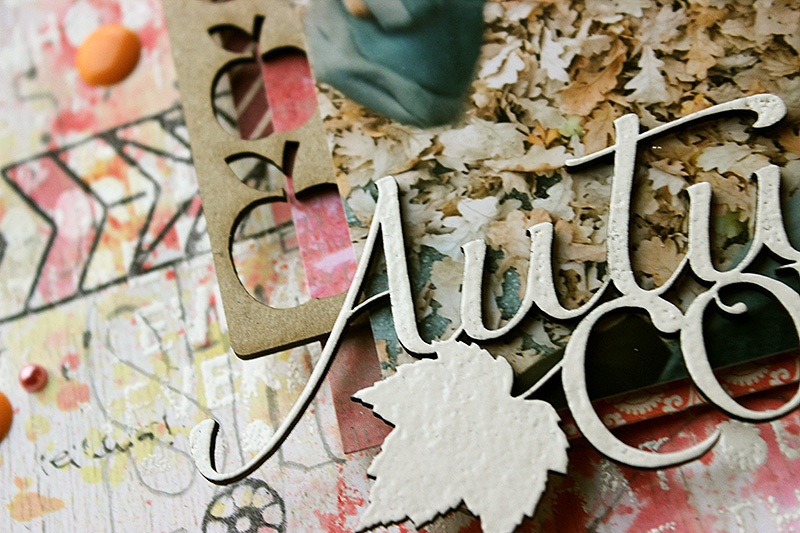 Even though the leaves in the photo aren't that colorful (have you noticed that oak leaves always turn to brown?) luckily there was the colors of the overall that I could use for my color palette! 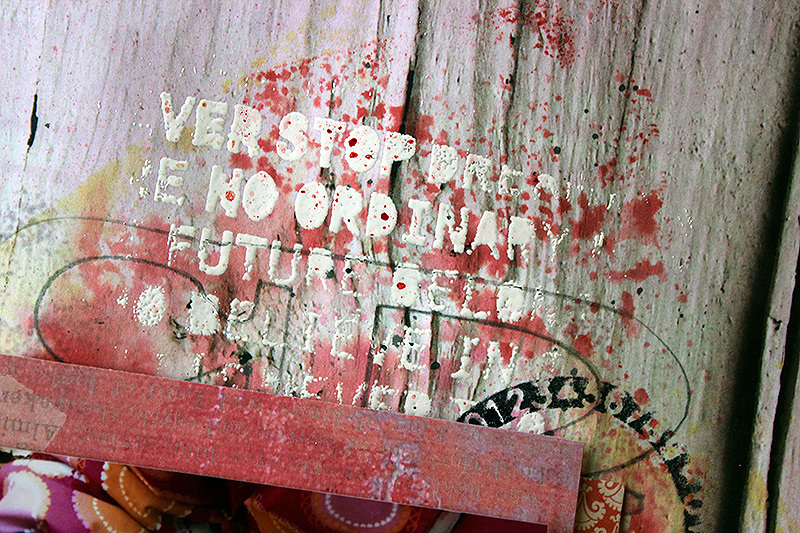 I started the page by creating an embossed design using the "Words of Wisdom" stencil and white embossing powder. On top I then added colors in a fun way and then added another letter detail on top using the "Alpha" stencil and tracing the design with a pencil. 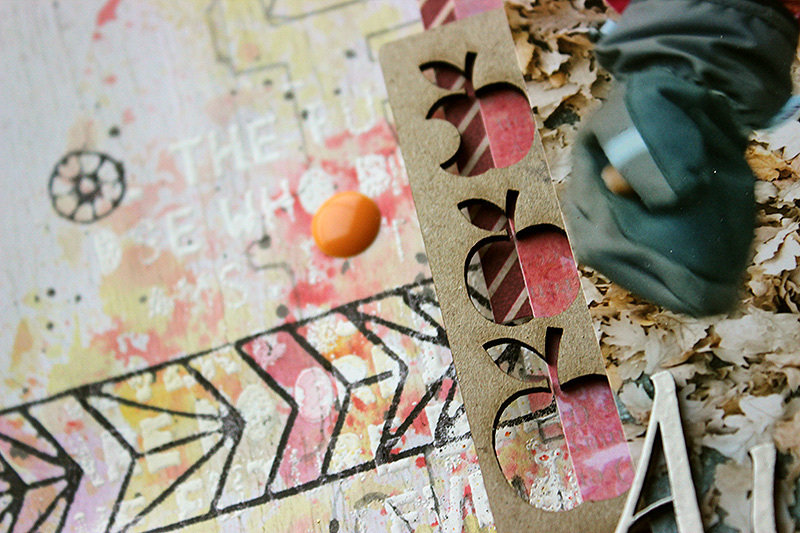 The page also has several stamped details, like the colored chevron and smaller and bigger circles. The bigger one is the "Letters and Numbers Ring" stamp and the smaller ones from the "Build a Flower" set. 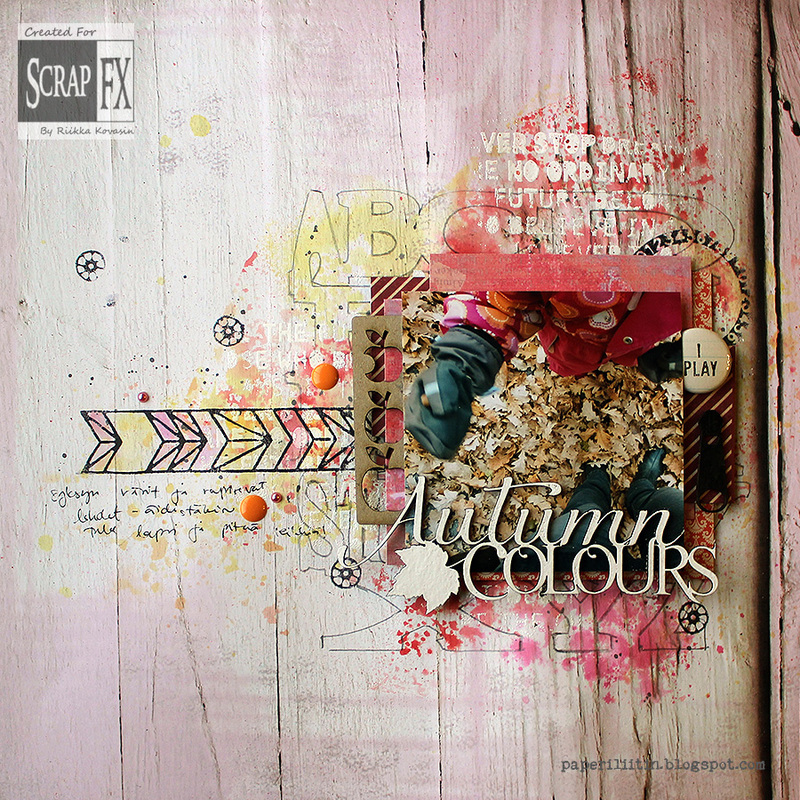 The title is made using the "Autumn Colours" chipboard and embellishments include a piece from the "Zipper Pulls" set and the left over from the "Mini Apples" set. If you want to see how I did the background, please watch the video underneath! I hope you enjoyed the video! Thank you for stopping by today!